How do you like a restaurant even before you ordered the food? For me, by playing Runaway by Bon Jovi then followed by Always and Wanted Dead or Alive. How frakkin’ cool is this place? My family were having lunch before going to the Buddhist Temple for Chinese New Year. My sister, Bonnie, took us here because I had a craving for soupy noodles. Daikokuya is doing something different and same at the same time with other Japanese restaurants. 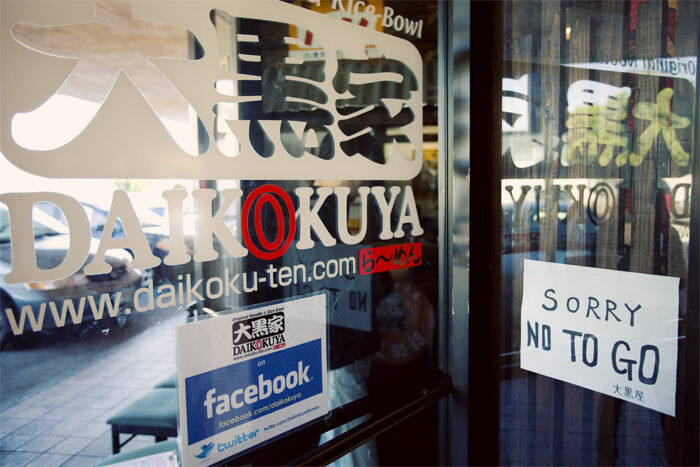 Unlike other places that serves ramen, Daikokuya only serves 1 style of ramen. 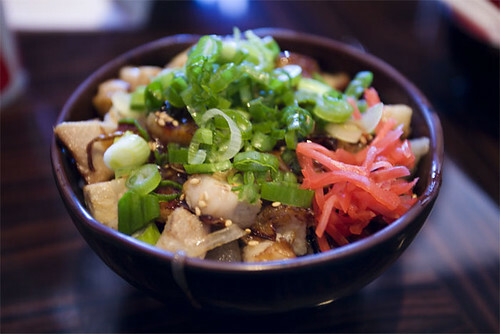 As explained in their FAQ in their website, “The original idea was to make one kind of ramen, and make it really good. It is not canned soup, so it takes time and space to create it. Since our kitchens are generally small, we don’t have a factory space to make many soups. So we decided to just focus on one kind”. And like a lot of Japanese restaurants you can do a combo, ramen and a small order of rice. 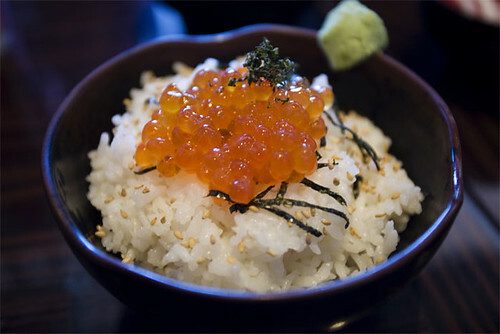 They have many different toppings for the rice. Bonnie got the fish roe and I got the chopped pork which turned out to be chopped pork belly. The bowl of ramen was pretty good. 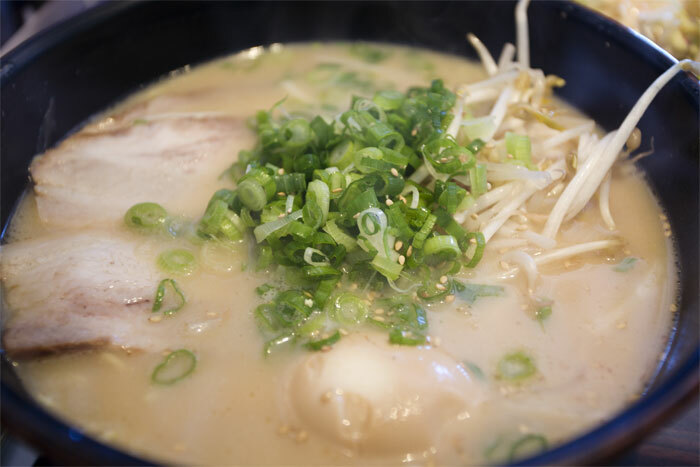 It was a typical original bowl of ramen with an egg and few slices of pork. The egg was perfectly cooked with the yolk still runny. It satisfied my craving. The bowl of rice was damn good. The chopped pork was nicely flavored. Went well with the Okinawa beer I had. Daikokuya also served small plates like an izakaya.